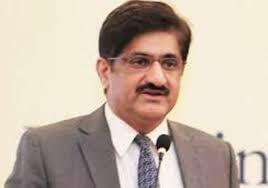 KARACHI: Sindh Chief Minister Murad Ali Shah on Monday wrote another letter to the prime minister of Pakistan to direct Sui Southern Gas Company Limited (SSGCL) and the Karachi Electric (KE) to immediately resolve their issues in public interest and provide immediate relief in load shedding to the citizens and industry. In his letter, he further said that in order to resolve the matters between KE & SSGCL and to find ways to mitigate the ongoing electricity load shedding in Karachi, he had convened a meeting on April 7, 2018, which was attended by the management and board members of both the entities. The management of both the companies were cognizant of the overall situation and presented their respective positions on the issue, he explained in the letter. The chief minister told the prime minister that the SSGCL, in public interest, had offered to increase the gas supply through gas management plan provided KE pays a security deposit, resolve outstanding payment issues, and sign GSA. The KE, on the other hand, committed to providing the security deposit and showed readiness to sign GSA on mutually agreed terms. He further said that thee SSGCL held an emergent board meeting on April 8, 2018, which reportedly approved supply of 120 mmfcd natural gas to KE upon furnishing Rs6 billion security deposit that is equivalent to three months average bill of 150 mmfcd gas supply and signing of mutually agreed Terms of Reference (ToRs) for the appointment of an independent chartered accountant firm. The KE, however, maintains that payment of markup or late payment surcharge to SSGCL is a complex matter as it, in turn, involves the recovery of outstanding electricity dues from the federal government (tariff differential subsidy) and other strategic bulk consumers, the chief minister informed the prime minister. He said that although both utilities had shown flexibility for the resolution of issues yet excessive electricity outages still persist and the city has not received any relief so far. “The residents of the metropolis and local industry are still enduring electricity outages of over 10 hours daily. The continuous rise in summer temperature has further aggravated the whole situation, especially when students are appearing in secondary school board examinations. The possibility of a serious law and order situation cannot also be ruled out,” the letter concluded.